Everywhere you go has its own natural features and advantages. When you’re staying at Galveston’s top RV Resort, Stella Mare, you have the advantage of enjoying the wonderful weather and ocean fun in the area. For the Galveston area, one way of protecting the precious shipping and other features in the region is the Galveston Seawall. This seawall was a direct response to and built after the devastating Galveston Hurricane of 1900. It was designed to protect the area from future hurricanes and was completed in 1904. In the time from its completion to the early 60’s, the seawall was extended from 3.3 to more than 10 miles. In addition, in line with the reason for building it, the seawall is said to have prevented $100 million in damages during 1983 Hurricane Alicia. Also, in 2008, the storm surge from Hurricane Ike went over the seawall and as a result there have been efforts to investigate what more can be done. The seawall itself is decorated with murals known as wall art and depicts underwater life. 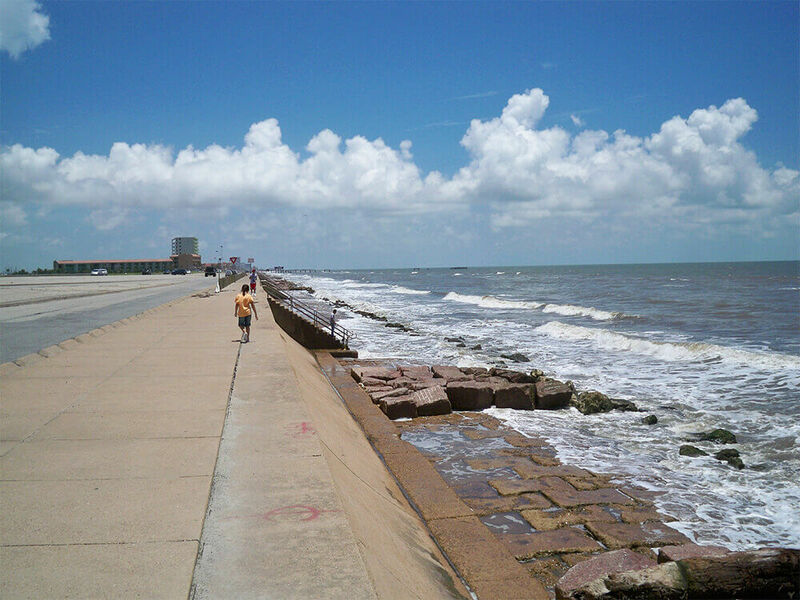 Much of Galveston’s beach activity occurs around the Seawall Boulevard, located naturally enough, right next to the Seawall. This urban park is 10 miles long and offers beaches as well as the longest continuous sidewalk in the United States. From these beaches you can access many restaurants and tourist attractions. The Stella Mare RV Resort, the quality leader in the Galveston area, is a beautiful resort located across from Galveston Beach and is a great way to spend a Gulf Coast vacation! You can find out more about the great amenities by clicking here. Save your spot with us today at stellamarervresort.com.